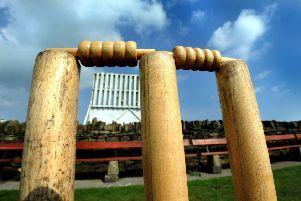 Monkseaton 1st XI saw their promotion push hampered by the weather on Saturday when their contest with Warkworth was abandoned as they looked favourites for another victory. Mark Tunstall’s men were 83-4 chasing the visitors’ total of 119, but with six wickets still in hand and needing 37 runs from 15 overs, both sides were left running for cover as thunder, lightning and a heavy hailstorm meant conditions at Churchill Playing Fields quickly became unplayable. The result keeps Monkseaton third in the Northumberland & Tyneside Cricket League Division Six (North) table. They still have a game in hand over second-placed Ashington Rugby, whose own game at the weekend was also affected by the weather. Warkworth won the toss and chose to bat. Their total was largely built around scores from skipper Ben Briggs (30) and wicketkeeper Andrew Carnie (34). For Monkseaton, vice-captain Ben Windass picked up a five-wicket haul to go with a fine one-handed catch. That set the tone for an impressive fielding display from the hosts, with skipper Tunstall and Kevin Elliott also taking five fine catches between them. Briggs produced a fine opening stint with the ball for Warkworth, removing Windass and fellow opener Richard Ord, along with Bob Zanetti. Tunstall (28) steadied things and got Monkseaton’s reply back on track before departing, but with Elliott and Andrew Simms looking increasingly comfortable at the crease, the victory target was starting to get within sight when the weather had the final say. Monkseaton will be hoping for better luck this Saturday when they travel to Howick to face Alnmouth & Lesbury (1pm start) looking to avenge a defeat from earlier in the season. * Monkseaton 2nd XI had no fixture at the weekend but return to action on Saturday when they host Tynemouth 3rds in a derby day clash at Churchill Playing Fields (1pm start).